In Part I of Maintaining Your rolex Watch, we discussed some of the daily maintenance rituals that watch owners should perform each day. Like owning anything mechanical, there are maintenance items that need to be performed periodically to insure that your watch continues lifelong operation. One watch component that should be completely cleaned periodically (1x-4x/year) is the bracelet or watch strap. Depending on the material, the strap should be maintained with something more than a simple wipe. For leather straps, the strap should be removed and cleaned with the appropriate leather cleaner and leather preserve. Depending on the type of watch, leather straps are held to the watch using springbars, screwed solid bars, or other types of strap attachment mechanisms. Either way, depending on your mechanical proficiency, remove the strap and clean it. Cleaned straps will last longer, be suppler, and will reliably hold your watch. While the strap is removed, be sure to inspect it where the springbar enters for any cracks, thinness, or anything else that show the potential for failure. Rubber/Silicon watch straps also fit into the same cleaning routine as leather watch straps. Rubber / silicon watch straps, like leather watch straps, are extremely comfortable, conform to the wearer’s wrist, but do require maintenance. Like with leather watch straps, remove the strap and inspect the springbars, and the area which the springbar enters for cracks, thinness, or wear. Additionally, treat the silicon strap with Armor All or Veraet rubber strap treatment to remove the oil, salt, or other deposits that affect strap’s reliability. For stainless bracelets such as the ones on Rolex, clean the strap in an ultrasonic cleaner or, at least let it soak in some strong ammonia based soap. Stainless bracelets are reliable, but they are prone to accumulate dirt, sweat, and oil within the links and the pins that hold the bracelet together. A complete bracelet bath or ultrasonic cleaning will remove the dirt and grit that leads to premature bracelet wear. Soaking a stainless watch bracelet will prevent what is known as “bracelet stretch.” Bracelet stretch is characterized by the bracelet losing its lateral stiffness and appears that it stretched. In reality, a stainless bracelet does not stretch, but rather the pins and coverings that hold the bracelet together have worn down and elongated. By keeping the bracelet clean, the possibility of elongation is greatly reduced. Additionally, be sure to inspect the springbars and soak them as well as these are the weakest link in a watch strap. Another area to periodically check is the water proofness or water resistance of your watch. Unfortunately, this requires a trip to the watchmaker, but this is a periodic activity that should be done yearly to insure that your watch does not prematurely fail because of a worn seal. 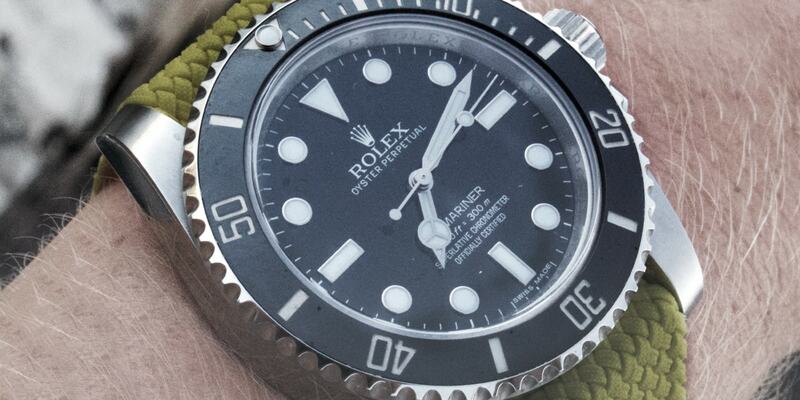 Every watch, including Rolex, has a water resistance rating. Depending on the case type, caseback thickness and design, crown type and design, and the method by which the crystal is affixed to the watch all affect the water resistance of the watch. Each one of these items relies upon rubber seals that on most typical watches are found under the caseback, and in the winding stem. As the watch is used over the years, the rubber/silicon seals wear and deteriorate. Testing the water resistance requires either a wet or dry pressure tester that most reputable watch makers have on premises. Pressure testing a watch does not take long, but it does require removing the bracelet and might take some time depending on what the watchmaker has in the mix on a particular day. In Part III of Maintaining Your Rolex Watch, we’ll examine weekly and yearly maintenance to help insure lifelong function of your quartz or mechanical watch.